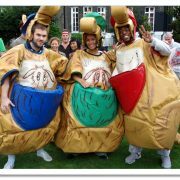 This blog follows on from an earlier one this year about Some fancy dress costume ideas for Its A Knockout teams. 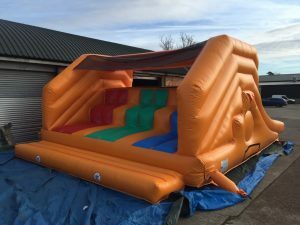 Another great idea for It’s A Knockout days is for the teams to bring a team gazebo with them to use as an HQ. This is great for a few reasons. Firstly, the teams have somewhere to place their bags etc. Secondly, if it rains, or it’s sunny and hot (fingers crossed), they have somewhere to shelter. And, thirdly, it adds a colourful spectacle for the day having an Olympic Village string of gazebos for the teams, especially if they are encouraged to decorate them as well, which is what this blog is now moving onto. 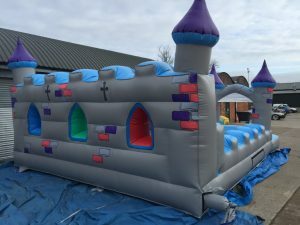 Encouraging the teams to bring a gazebo that they fancy-dress up generates great pre-event team building as they will have to get together to discuss this along with their own fancy dress ideas. Usually, the two are combined as you can see from the images in this blog. It may be that a team dresses in grass skirts, call themselves “The Hawaii-5-0’s” and hang some bunting and balloons up around their gazebo. Or, maybe they go to town and make scenery and bring extra props to really give the gazebo a theme. We usually also give extra bonus points for the teams if they bring a team gazebo and dress it up. Of course for charity fundraising events, an Olympic Village of fancy-dressed team gazebos is an excellent way to fill room free. 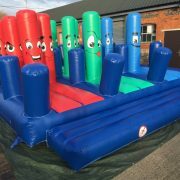 One side of the It’s A knockout games arena can be used for the gazebo village which adds a really colourful display. Corporate teams can be told they can display their wears and company signs as well, giving them exposure as thanks for supporting the day. 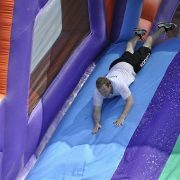 We hope that the images here have inspired some of the teams taking part in our It’s A Knockout events this year with ideas. 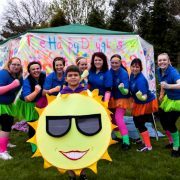 If you’re taking part in one of our It’s A Knockout’s this year, please send us photos’ of your fancy-dressed team gazebo, or upload it to our Facebook Page, we’d love to see them ! Team Building activities have been proven to aid bonding and help colleagues from different departments “put a face to the name”. 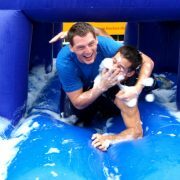 Its A Knockout is the perfect solution for team-building groups where ages, interests and skills are very different. Teams can vary in size, so small and large groups can easily be accommodated. 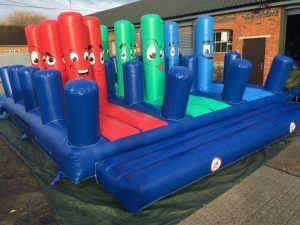 It’s a Knockout is an informal day away from the office fun activities is an ideal way to get employees to know each other and break down barriers. We have over the years developed activities and games that are almost a “fits all” for away days. 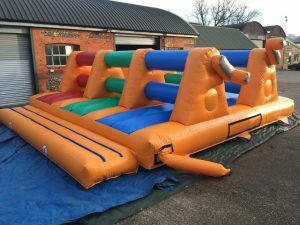 We offer many variations from Sports Day to a Bouncy Olympics, to It’s A Knockout. 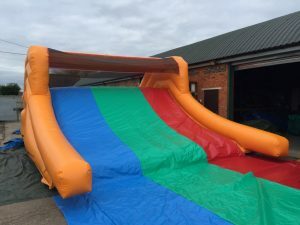 There is so much more than just the actual Its A Knockout Challenge that promotes team building – there’s the creation of team names, slogans, chants etc. Anyone unable to take part in the physical challenges due to ill-health or can be enrolled as “cheerleaders”, “scorekeepers” and “paparazzi” for the day – it should be fairly easy to find a role for everyone! 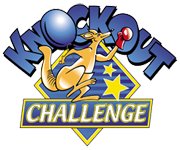 We have a number of Charity Knockout Challenges where your company could enter a team; enjoy a great day team-building and contribute to a worthwhile cause. Have a look at our Events page, call us on 01245 328221 or request a brochure.